Unlike co-star Benedict Cumberbatch, Martin Freeman was something of a known name before he became surely the most beloved version of Dr Watson ever (though fans of Jude Law, Nigel Bruce and the like may beg to differ). Since, of course, his fame has shot into the stratosphere with his role as Bilbo Baggins inThe Hobbit films, and looks set to continue when he joins Benedict in the Marvel Cinematic Universe in Captain America: Civil War next year. Here we look at a small selection of Martin’s performances pre and post–Watson that if you are a Sherlock fan – ‘if’ he says! – and haven’t seen yet, you, well, should. 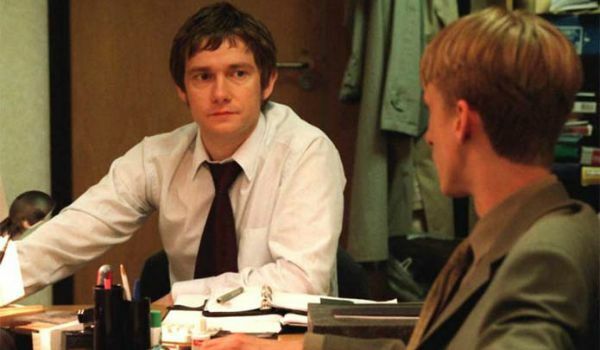 Before Sherlock, Martin’s role as likeable, lovesick Tim Canterbury in the British version of the mockumentary comedy series was his most famous performance. While the offices of Wernham Hogg are full of unsavoury people like David Brent and Gareth Keenan, Tim and his best friend and love interest Dawn are the heart of the show and their will-they-won’t-they story brings some touching drama to the comedy. With John Watson and even Bilbo Baggins, Martin is the go-to actor for the role of the everyman who stumbles into adventure. 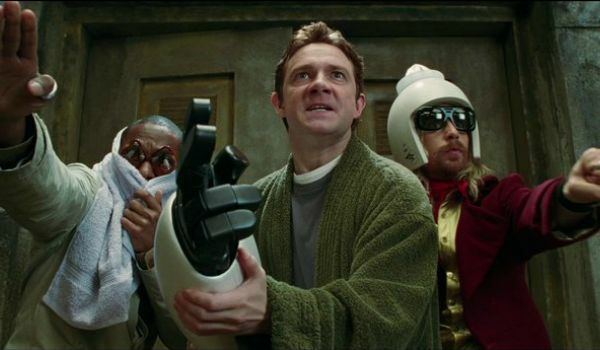 In this big-screen version of Douglas Adams’ much-loved comic sci-fi books, Martin plays Arthur Dent, a man who escapes the destruction of the Earth and ends up on a journey to discover the (question to the answer of) the meaning of life – all in his pyjamas! This one definitely tested Martin’s acting chops. A little-remembered – and short-lived – TV series, Boy Meets Girl sees conspiracy theorist Danny (Martin) and fashion journalist Veronica (Rachael Stirling) accidentally swap bodies and have to live in the other’s shoes. Both stars are brilliant at giving detailed, physical performances as a man/woman in a woman’s/man’s body. 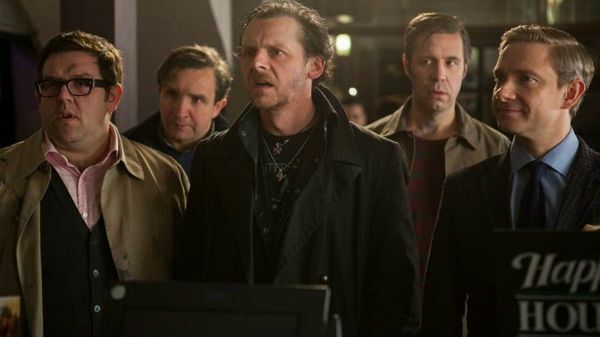 Having had cameo roles in the previous two films of the so-called ‘Cornetto trilogy’, Martin was promoted to lead character here as Oliver ‘O-Man’ Chamberlain who reluctantly goes on a pub crawl with Simon Pegg’s Gary King – which results in them uncovering an extraterrestrial threat. It’s a popular film so you may have seen it already but if you haven’t you should definitely seek it out if you fancy seeing Martin take on invaders from outer space! 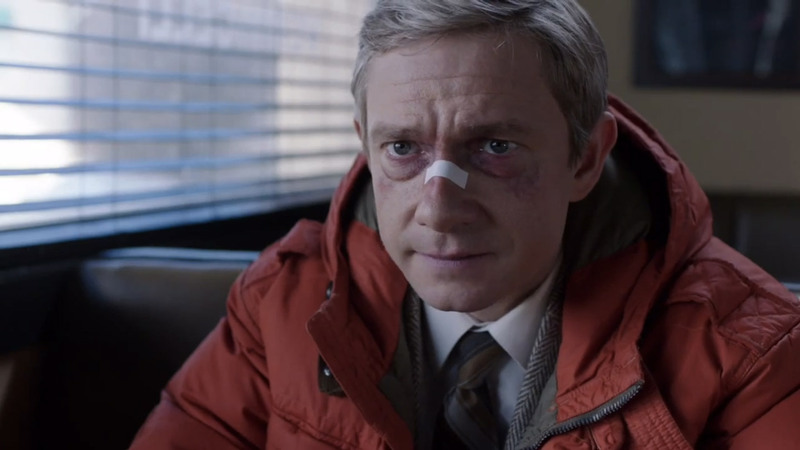 And, finally, for those wanting to see Martin in a really different role from the good doctor, there is Fargo, the acclaimed TV series based on the Coen Brothers equally-acclaimed film. Martin stars as Lester Nygaard, a put-upon insurance salesman whose life is turned upside down when he meets the malicious and mysterious Lorne Malvo (Billy Bob Thornton). As it’s a series that is best watched knowing very little going in, all we can say is that Martin sports an American accent in it! 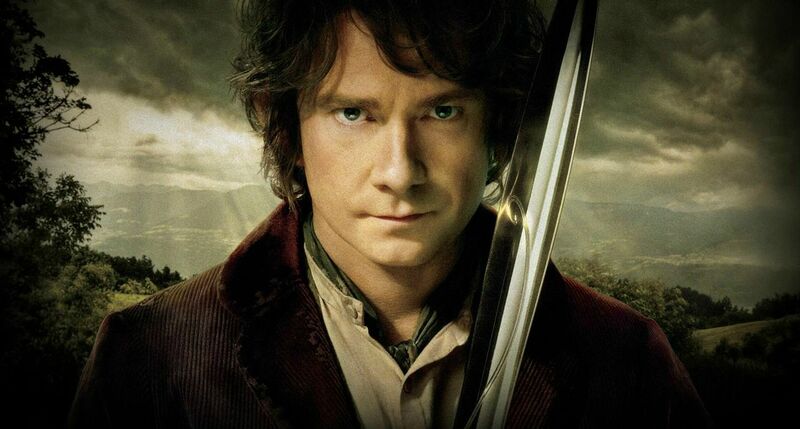 Did we leave off your favourite Martin Freeman role? Let us know in the comments! Love this! Can’t wait to check some of these out and, you know, I never realized that he was in Hitchhikers until just now! XD But then, I did see it way back. I’ll have to re-watch that now. I would add ‘Swinging with the Finkels’ to this. 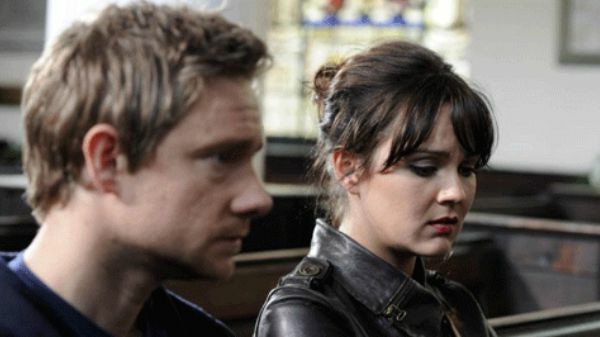 It’s a typical brit-comedy and Martin is wonderful in it. It’s shows his comedic side as well as his dramatic side.